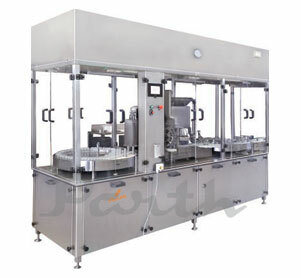 Injectable powder filling machine is used extensively in pharmaceutical industry to fill up the vials. Parth Engineers & Consultant offers Injectable powder filling machine with Rubber Stoppering for the filling purpose in various industries. Our cost-effective powder fillers are designed to provide higher production rates with very low wastage of the powders that are very costly. Build with Industrially graded raw materials filling machines are designed to be used for a prolonged period of time. The machine parts can be easily dismantled making it easier to clean. Office Address: Plot No. C-1/4519, Phase - IV, B/h. Indo German Tool Room, G.I.D.C, Vatva, Ahmedabad - 382445 Gujarat, INDIA. Copyright © 2018, Parth Engineering & Consultant ( India ).